A Reception followed the performance. "Zlatomir Fung brought a rich, warm tone, impeccable intonation, appreciation for dynamic shading and thoughtful phrasing to the Schumann Cello Concerto (with the Baltimore Chamber Orchestra)." "In the Shostakovich Cello Concerto No. 1 with the Vallejo Symphony Orchestra, Fung showed a mastery of his instrument that was truly a thing to behold. He was lost in the magic of the music, maneuvering the strings with exquisite control as he created his own musical mosaic." "The Saint-Saëns concerto demands technically flawless execution, and here Fung delivered hands down. This was a spectacular performance." 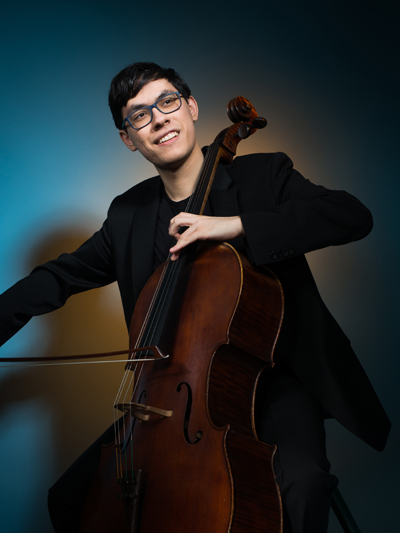 Cellist Zlatomir Fung recently captured First Prize at the 2018 Schoenfeld International String Competition, as well as the competition’s sole performance engagement prize for a concert with Poland’s Poznan Philharmonic Orchestra. Other performances as soloist with orchestra this season include the Dvorak Concerto with the Juilliard Orchestra conducted by Itzhak Perlman and the Bloch Schelomo with Orchestra Iowa. Previously, Mr. Fung has appeared in the U.S. with the Baltimore Chamber Orchestra, Boston Pops, Santa Cruz, Ann Arbor and Grand Rapids Symphonies, and New England Philharmonic, and abroad with Romania’s State Philharmonic of Sibiu, the George Enescu Philharmonic Orchestra in Bucharest, and the Lausanne Sinfonietta in Switzerland. As a First Prize Winner of the 2017 Young Concert Artists International Auditions, Mr. Fung makes his recital debuts in the 2018-19 Young Concert Artists Series at New York’s Merkin Concert Hall, sponsored by the Rhoda Walker Teagle Concert Prize and in Washington, DC’s Kennedy Center, sponsored by the Alexander Kasza-Kasser Concert Prize. He also won special performance prizes: the Buffalo Chamber Music Society Prize, Embassy Series Prize in Washington D.C., Friends of Music Concerts Prize, Paramount Theatre Prize, Lied Center of Kansas Prize, Sunday Musicale Prize, and Slomovic Prize for sponsorship of an Orchestra Partnership Project concerto engagement. 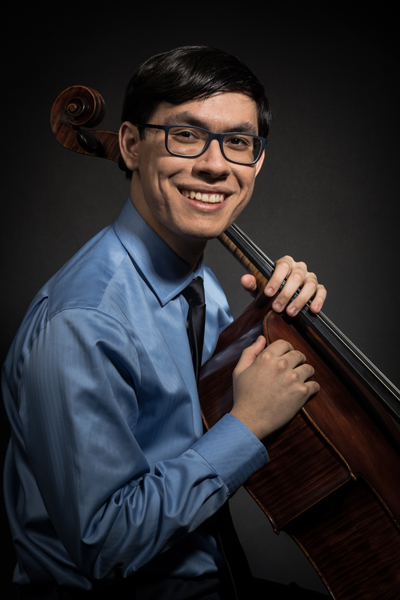 Zlatomir Fung will perform recitals this season for the Cosmos Club, Hopkins Center, Port Washington (NY) Library, Aaron Copland School of Music/Queens College, Jewish Community Alliance, Colgate University, Patrons for Young Artists in Poughkeepsie, Salon de Virtuosi, Tryon Concerts, Chamber On The Mountain in Ojai, CA, and the American Friends of the London Philharmonic Orchestra. Mr. Fung is of Bulgarian-Chinese heritage. Born in Oregon, he and his family moved from there to the Boston area so that he could attend the New England Conservatory Preparatory School. He is currently a full Kovner Fellowship student of Richard Aaron and Timothy Eddy at The Juilliard School. Outside of music, he enjoys cinema, reading philosophy and chess. Mr. Fung holds The Anne & George Popkin Cello Chair of YCA, and plays a 1705 Mattio Popella cello generously on loan from Marc Pasciucco. Zlatomir Fung is represented by Young Concert Artists, Inc.
A recipient of numerous awards and honors, Ms. Carissa was recently awarded the 2018 Career Grant Winner of Charlotte White’s Salon De Virtuosi. She will perform at WQXR’s Greene Space in New York in November. 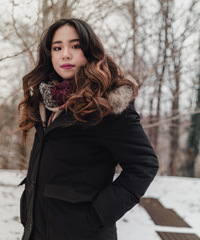 In Summer 2018, Ms. Carissa participated at Ravinia Steans Music Institute Summer Festival and premiered the Timo Andres Piano Trio, which she would play in Ravinia’s 2019 Tour along with Miriam Fried and her colleagues. Following her success at Ravinia, Ms. Carissa was also invited to collaborate with players of Berlin Philharmoniker’s Scharoun Ensemble in Poland at Penderecki Center, performing works by Schubert, Mendelssohn, and Bach. Her other upcoming 2019 engagements include a recital tour series with cellist Zlatomir Fung. 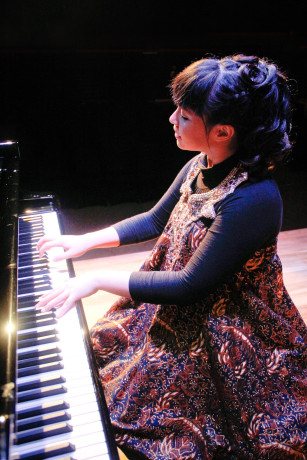 Ms. Carissa was a Young Scholar of Lang Lang’s International Music Foundation; the runner-up in the 2014 piano competition at the American Academy of Conducting at Aspen Music Festival and School; Star Performance Award Winner of the 2012 American Protégé International Music Talent Competition in New York; the runner-up in Indonesia Pusaka International Piano Competition in 2011; and the Top Prize Winner of the IBLA Foundation’s 2006 International Piano Competition. Ms. Carissa has been featured on television and radio, including Indonesia Mencari Bakat, Inspirasi Pagi, Sang Juara, Global TV, RCTI, Trans TV, BC TV, Metro TV, TV One, Voice of America, WHYY-TV, WXQR’s Greene Space, and National Public Radio’s From the Top. Recent career highlights include her debut with Orpheus Chamber Orchestra playing Mozart Piano Concerto and a solo recital tour in New Mexico, Arizona, California, Long Island, and New York. She has performed with the Philadelphia Orchestra, Orchestra of St. Peter by the Sea; Midwest Young Artists Symphony Orchestra; Symphony in C; the Eastern Wind Symphony; Bay Atlantic Symphony; and appears regularly with the Jupiter Symphony Chamber Concert Series. She also has performed at the Louis Vuitton Foundation in Paris for the Auditorium opening in 2016. Other notable venues include The Sydney Opera House, Stern and Weill Recital Hall at Carnegie Hall, Steinway Hall in New York, Miller Theater in Columbia University, the Richardson Auditorium at Princeton University, the Kimmel Center, United Nations in New York, Oxford University’s St. Hilda’s College, Chicago’s Jay Priztker Pavilion, the Kennedy Center in Washington DC, the Sydney Opera House, the Fryderyk Chopin University of Music’s Concert Hall in Warsaw, Theatre Hall of the Karol Lipinski Academy of Music in Wroclaw, and performances in Rimini, Ragusa, and Cesena in Italy. In 2011, Ms. Carissa performed for the President of Indonesia and other dignitaries at the Presidential Palace in Bogor and for Lady Dewi Sukarno in Bali.